Welcome to the wonderful coastal city of Huntington Beach. 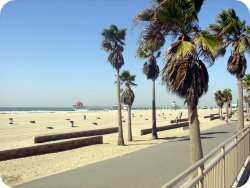 Many of the most beautiful stretches of beaches in Orange County, California are in Huntington Beach. Also known for many beautiful neighborhoods that are as stunning as the lands and seas that surround it, Huntington Beach offers great coastal living with scenery that visitors won't forget! 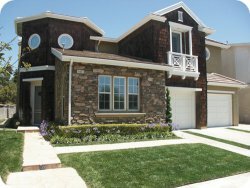 Environmental conservation and green living are a strong emphasis with the communities of Huntington Beach. Along with ongoing developments with resort hotels and tourist attractions, there is an equal amount of conservation efforts, especially with being surrounded by naturally beautiful marshland and beaches. 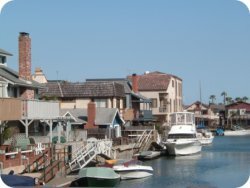 Local residents of Huntington Beach continue to preserve the environment and communities for future generations. 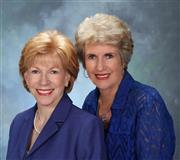 We are your Real Estate Agents with years of experience in the area and can help you look for the right home for you and plan your future in the area. Contact us today to answer all your community specific housing questions. Huntington Beach has an education system that efficiently serves to teach and enrich the lives of its residents. The area is served by The Huntington Beach Union High School district and has a high standard of excellence. Huntington Beach High School is one of the longest serving schools in the city with having just celebrated its 100th year in 2006. Huntington Beach High School also serves as the location for school of arts where students who gain admission can study modern performing arts. Huntington Beach is also home to Golden West College community college and is within convenient commuting distance of many Cal State and UC universities such as Cal-State Fullerton and University of Irvine, CA. Huntington Beach has some of the best natural scenery that showcases Southern California’s and continues to be one of the main attractions for visitors and tourists. Its also home to the Bolsa Chica Wildlife Refuge. This stretch of wetlands is a preserve that’s protected from buildings and constructions of all types including homes and shops. It allows for those interested in bird watching, photography and everyone that wants a nice walk to enjoy nature. Huntington Beach is a haven for surfers and beach goers, being one of the most popular destinations for surfing and water sports in Southern California. For longboard surfing try Bolsa Chica State Beach. Other venues include Huntington Beach Pier, where shortboards are best. Dog Beach is a good dog friendly section of the Huntington Beach. 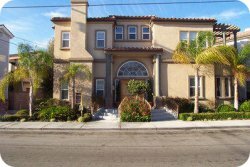 For those think of buying, selling, investing or relocating to Huntington Beach, we are your Real Estate Agents and housing experts in the entire area. We also specialize in Adult Communities and Senior Living in the area and can help you plan your future in the Huntington Beach. Next door to Huntington Beach is Seal Beach which is home to the Leisure World community. Contact us today so we can answer all your questions.